FIBA is the International Basketball Association which derives from French Fédération Internationale de Basket-ball. Until 1989 it had the word Amateur in its title, but since it evolved into the most professional basketball association, the word amamteur became redundant ans dropped in the wake of the nineties. The main scope of FIBA is deifnign rules for basketball at the international level, deifnign the equoment and facilties which are allowed to be used, and it also takes care of the transfer of athletes from one country to the other.FIBA is also in charge and supervises the international referee appointments. The FIBA organization counts by now 205 member nations coming from the five defined zones (continent-zones) including Africa, Americas, Asia, Europe, and Oceania. 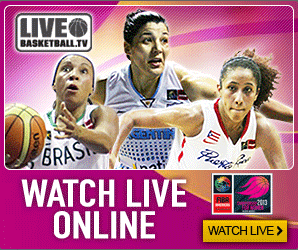 The FIBA supervises the world tournaments for both, men and women. The world cups are held every four years, and the organization take care that the cycles do not overlap with each other, i.e. women and men do not compete in the same year. to qualify for FIBA World Cup, the national teams undergo pre-qualification in their own FIBA zones, whereby only the top three national teams are allowed to the FIBA Wold Cup. It all started in Genevea in 1932 when 8 countries decided to establish the Basketball Federation. They are Argentina, Czechoslovakia, Greece, Switzerland, Iatly, Portugal, Latvia, ad Romania. Initially it was called the International Federation of Basketball Amateurs, but it was dropped. James Naismith was the second president elected during the Summer Olympics 1936, since he was the founder of basketball. The headquarters has moved several times, like in 1956 to Munich, only to be returned to Geneva again in 2002. The FIBA has its own Hall of Fame since 1991. There was a time when NBA players were not allowed to participate in FIBA tournaments before 1989, when the back-then Secretary General ofFIBA Borislav Stanković changed the rules to include NBA players in the Olympics. The moment FIBA let professional NBA players in, it changed its name from Amateur to how we know it today. From then on, NBA players were admitted to participate in other basketball tournaments as well, like Eurosbasket, Fiba World Championship, etc. The Olympics and the FIBA World Cup became acknowledged as professional tournaments yet only in the 1990s, and by then, they were only treated as amateur and semi-professional tournaments, which sounds a little bit unbelievable if we consider the importance of both tournaments today. The first FIBA President was Léon Bouffard, a professional athlete from Switzerland who co-founded FIBA. His term as FIBA President lasted from 1932 to 1948. He is known for organizing two Eurobasket Championships that took place in Geneva (in 1935 and 1946). He was also dedicated a spot in the FIBA Hall of Fame cherished as a contributor. 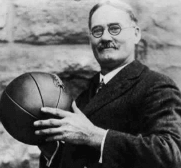 Perhaps, the best known FIBA President will remain James Naismith, who was also the founder of basketball. Being of Canadian origin, Naismith was an all-around person who was a physical educator, coach, physician, and chaplain. The original basketball rules were his masterpiece, which he had carefully written down as a rulebook based on which he established the basketball program at the Kansas University. In his college years, Naismith proved to be a very gifted athlete and played different sports for the college teams. Later, he became a physical educator who graduated from the Prosbyterian College in Montreal. Later, he moved to Springfield where he was offered to a job as physical educator at the YMCA International Training School. Willard N. Greim (President term: 1948-1960) was primarly a college coach until he was offered to become the Director of Health, Education, and Athletics (Denver Public Schools). He proved to be very efficient on that position since he added numerous sports like tennis, swimming, golf, and gymnastics. Greim was also known as a hero for saving the Denver Zoo from bankruptcy by establishing a contract that revived the Zoo again. His name can also be found in the FIBA Hall of Fame since 2007. Antonio dos Reis Carneiro is one of the most famous people for fiunding basketball organizations and leagues in South America. He was the President of the Brazilian Basketball Federation and Confederation which he also co-founded. He was also head of the FIBA South American Commission, as well as vice president of FIBA, and President of FIBA 8TERM: 1960-1968). Renato William Jones was FIBA’S Secretary General who promoted basketball in Europe and Asia and made it popular on these continents. He was one of the co-founder of FIBA when it was the Amateur Federation, and he remained Secretary of General for 44 years. A myth (that could be true) is also associated with Jones, who supposedly during the Olympics of 1972, was the reason the USA lost against the Soviets. The myth says that the USA was leading by a 1-point advance (50:49) and the clock was about to run out. But then, James ordered to put back the clock three seconds, which was enough for Soviets to score a winning point (51:40). Jones declined such allusions later, but many say that he said that Americans needed to learn how to lose. Borislav Stanković, who served as a FIBA Secretary General was a Serbian professional basketball player, and later, coach. His biggest achievement during his term as Secretary General was opening the door to NBA players to the Olympics. In his honour, FIBA named an an international basketball tournament after him, the Stanković Cup. Stanković is the author of the book Dream Team – How Michael, Magic, Larry, Charles, and the Greatest Team of All Time Conquered the World and Changed the Game of Basketball Forever" (2012), which gained many credits within the basketball community. Patrick Bauman is the current FIBA Secretary General who has been serving since 2002.he used to play basketball and was also a referee, coach, and organizer of tournaments. He promoted the 3x3 format in basketball which was a part of the 2015 Israel championships.